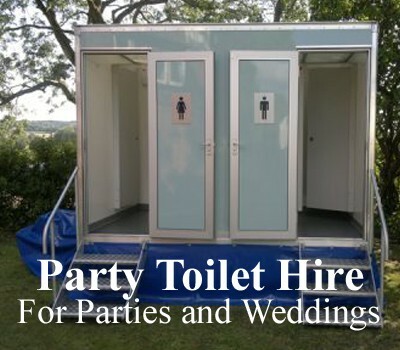 "Beautiful toilets for your special event"
"Have a ball with our great range of party toilet hire"
Wedding toilets and event toilet hire needn’t be confusing or out of your budget. From festival event toilet hire to wedding toilets we are here to make sure your guests remember your event for all the right reasons. 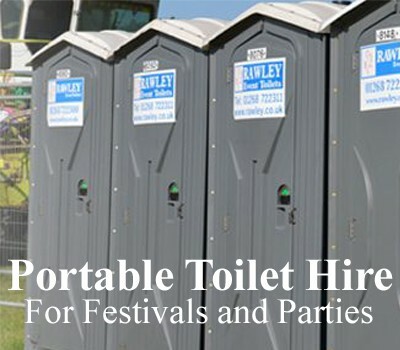 Whether you’re planning a party at home, a wedding, an outdoor festival or any other public event you can be certain that Rawley Event Toilets can provide you with expert advice, an excellent choice of products and the right event toilet hire solution for you. Give us a call on 01268 722311 or email eventtoilets@rawley.co.uk. Take a look around our wedding toilet hire and event toilet hire pages to see the various styles and budgets we can cater for. Whatever event you’re planning, we can ensure the comfort of your guests from start to the finish, providing you with a seamless service. ensure that we deliver clean, hygienic and fresh smelling toilets every time. Whatever your concerns, our Event Toilet Hire Team will listen to you and help you to find the best solution to your requirements. Our team have expert knowledge, over 20 years experience and have attended many events with our event toilet hire. This experience has enabled them to completely understand your needs and offer you expert advice and assistance. Choose from our single standard event toilets and our special single deluxe event toilets for smaller events, parties, fetes, sporting events and festivals. 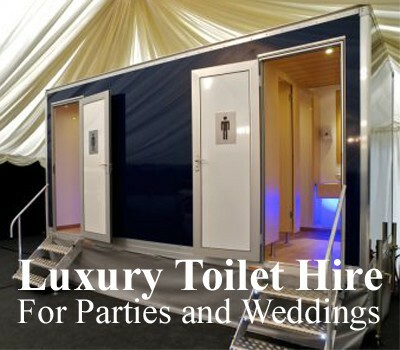 Add a touch of class with our mobile and VIP luxury mobile toilet trailer hire. Whatever event toilets you choose you can be confident that we will always be here to provide you with our reputable excellent customer service and quality assured products, backed by our UKAS BS ISO 9001 accreditation. Get in touch with our experienced Event Toilet Hire Team today.